Ability-based groups can be divisive. No two students are alike, but some schools aim to provide more personalized educational programs by grouping students according to ability. Students with special educational needs may all share the same classroom, or ability grouping might occur by subject. For example, advanced readers might be in one reading group, while struggling readers would be in a different group. Ability grouping is a controversial topic, and offers both advantages and risks. One of the most significant concerns about ability grouping is that schools tend to place racial minorities and low-income students into low-achieving educational groups, according to the National Education Association. This can create a self-fulfilling prophecy in which students labeled as having low abilities end up underachieving, according to a position paper by the National Association of School Psychologists. Consequently, ability grouping might not actually help students learn, but instead serve as a way to label them. The National Education Association points out that advocates of ability grouping emphasize the ability to tailor a student's educational plans to her specific needs. 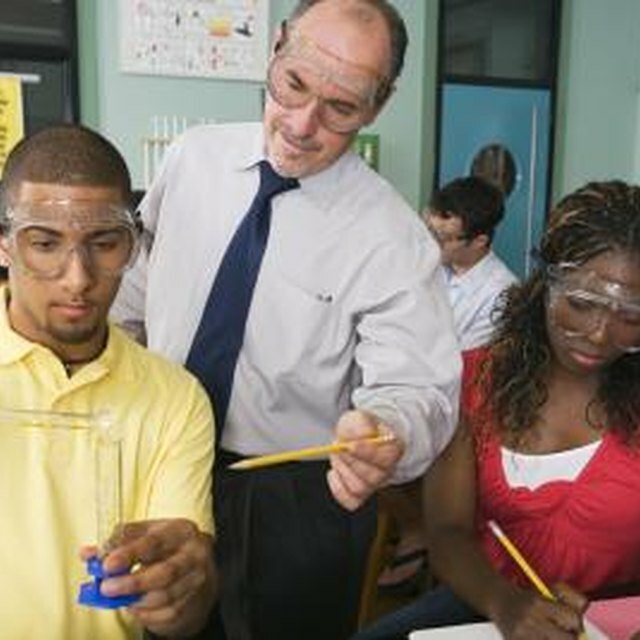 Gifted students can take more challenging classes, while struggling students can gain extra time and teacher attention. A federal law, the Individuals with Disabilities in Education Act, mandates that schools provide a personalized educational plan to students with disabilities, and tracking can be one way of doing this. No matter how interesting a teacher's class is, a student won't learn if he doesn't have basic skills. Tracking can help improve educational quality by ensuring students master the basics. 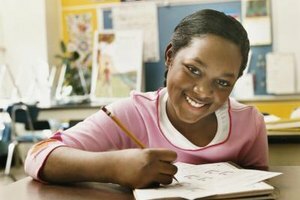 For example, a student struggling with algebra might join a lower math class in which she can learn basic arithmetic skills and foundational rules of algebra prior to moving on. However, educational quality doesn't always improve with tracking. A University of Illinois paper, for example, emphasizes that students tracked into lower classes may never have the opportunity to take challenging math and science courses, thus limiting their academic possibilities and futures. Students are not oblivious to the fact that they're being tracked, and sometimes tracking can create a stigma. Students tracked into special needs classes may be teased by other students or view themselves as stupid. "Education Week" points out that students tracked into lower ability classes may feel less engaged because they know it's unlikely that they'll move on to more challenging classes. However, some students may enjoy tracking. A struggling student who finally gets the help he needs may find tracking helpful, and a gifted student placed in a higher and more challenging class may dread the boredom of school less. University of Illinois: Tracking in Schools...A Thing of the Past? Thompson, Van. 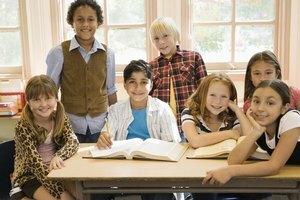 "The Pros & Cons of Ability Grouping in Elementary Schools." Synonym, https://classroom.synonym.com/pros-cons-ability-grouping-elementary-schools-19576.html. 26 September 2017.